If you can't wait to start hurling yourself down virtual sled slopes and exploring full 360 environments, an Oculus Rift spokesperson has revealed the company expects to ink a launch date for some time next year in 2015. Saying that the company would be "disappointed" if the virtual reality headset wasn't on shelves by 2016, the unnamed spokesperson confirmed to Business Insider that after months of waiting we're one step closer to an official retail release. It's about time too. 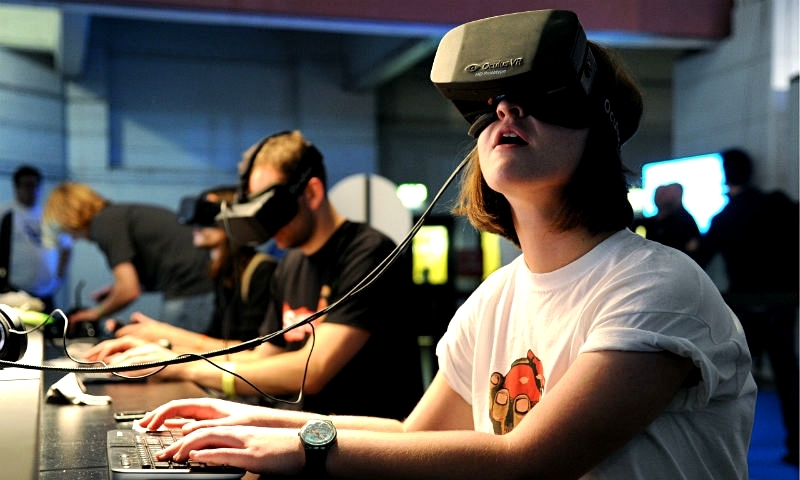 When the Oculus Rift raised $2.4 million on Kickstarter over a year and a half ago, the world expected to have virtual reality headsets-to-go within a matter of months. However it's taken the full force of Facebook throwing itself behind the project to bring a concrete release date into focus on the horizon. Apparently the delay has been largely due to developers. As with all technology worth its salt, it's no good having a shiny bit of kit if there's no decent software to go with it. With the second generation SDK now scheduled to ship to developers in July, Oculus is willing to stall the official hardware launch to give the professionals time to create content worthy enough to accompany it. Most intriguingly however was Business Insider's chat with Chris Dixon, an investor in Oculus VR who hinted at the company's next project: a new headset that will require a whole room of servers to work. "You go into a room. It's a special room. Fancier headset. ... In user testing it gets to a level of realism where almost all people feel that it's realistic. Imagine everything you can see now, but it's a little bit pixelated. Eventually that [pixelation] will go away," he reported. Exactly what this headset so powerful it needs the server equivalent of the Titanic to work is unclear, but Dixon reportedly said that he expects Oculus's new product to be employed in training for both the fire service and military applications. Meanwhile, Facebook's acquisition of Occulus Rift earned both companies few favours. Many who had seen it as purely another step in the evolution of gaming felt betrayed by a seeming "corporate sell out," with the creator of Minecraft himself rejecting the Virtual Reality headset. However, whilst gaming is of course a rich landscape in which the Oculus Rift could flourish there are multiple potential applications for the revolutionary technology. David Attenborough, for example, is filming his next documentary for Sky 3D to be VR-compatible and many have hypothesised that a VR-enabled Facebook could allow users to interact with their friends online in a completely different way.